F.S Form 20. 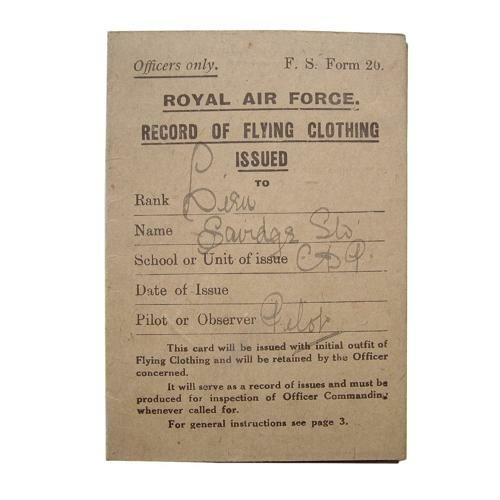 Issued to a pilot, Lieutenant Savidge during his time at Central Despatch Pool in February 1919. It details the kit issued to him including 'Sidcot Suit', 'Thigh Boots' (Fug boots) and 'Box Respirators'. Fascinating little document issued to a pilot during the infancy of the RAF. Lightly soiled but in good used condition. Stock code P23000.